In the past few decades, awards shows have been a huge platform for celebrities to use their voices. We have seen men wear pearl pins on the red carpet to show their support for female-led projects. We’ve seen ACLU ribbons to represent the fight for human rights. The Time’s Up initiative had everyone wearing black to signify that the era of silence regarding sexual misconduct is over. On Sunday, March 4th, the most famous faces in Hollywood will convene for one of the biggest nights of the year: the Oscars. And many celebrities will again be making a statement for another important cause. At the 2018 Oscars, stars will wear orange pins to make a statement about gun violence. The horrific February 14th school shooting in Parkland, Florida has opened the national conversation on gun reform. Many major actors and actresses will be wearing orange pins on the red carpet to support Everytown for Gun Safety. In case you haven’t heard of it, Everytown is an organization that focuses on ending gun violence in America. They push back against Washington gun lobbyists and politicians who don’t seem to want to fix the gun problem in our country. And you can join the movement with orange pins of your own. 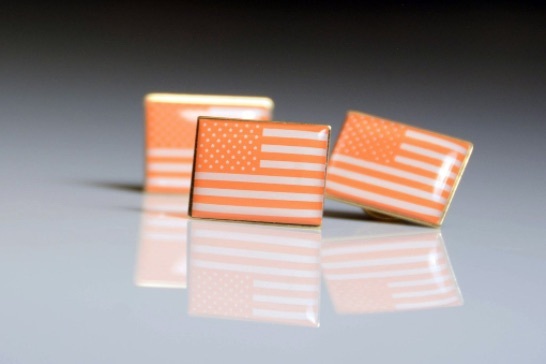 If you would like your own orange American flag pin, we have good news. 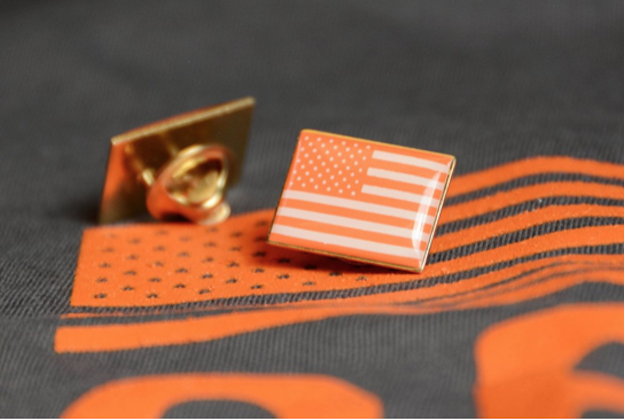 Everytown is selling the orange pins that you’ll see all over the Oscars red carpet. Even if you aren’t strolling down a red carpet anytime soon, you can still make an important statement with a pin of your own. You get three pins for $15. 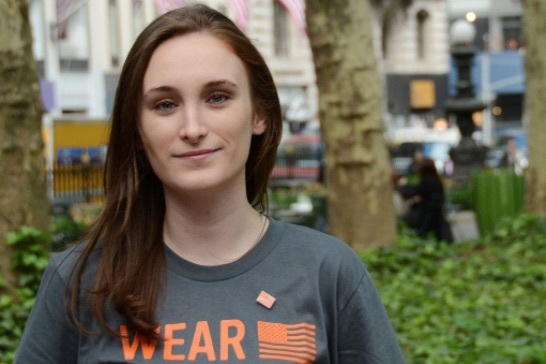 To raise awareness and support Everytown? Super worth it.